The Phoebus was designed at a time when glider manufacturers were moving away from all-wood aircraft towards composite structure. 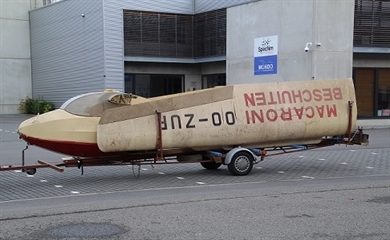 It is a glass fibre competition sailplane in the Standard class produced in Germany mid-sixties. More than 250 were built, achieving successes at many national contests. 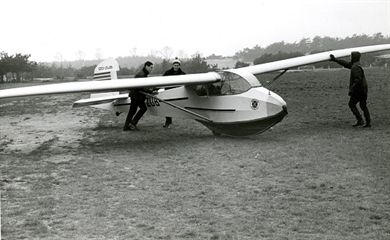 It was later called MBB Phoebus when Bölkow merged with Messerschmidt and Blohm. The examplar exposed at the workshop was given by the CNVV of Temploux, it is complete, except the instruments. 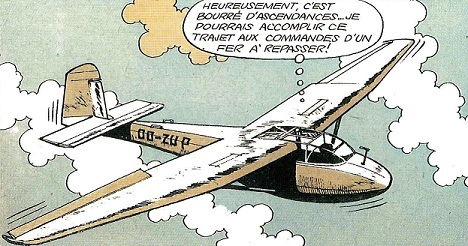 This glider is identified as n° 787 built during 1967 and first registered in Belgium as OO-ZDX on 6/2/1990.